El Reno High School was established in 1893 and graduated its first class in 1896. The present building was built in two phases. The west half was built in 1911 and the east half was added in 1925. In 2000, the building was added to the National Register of Historic Places for its unique architecture. 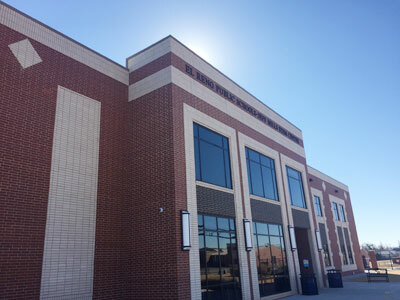 El Reno High School, along with the Paul R. Taylor Media Arts Center and the Jeff B. Mills STEM Center, is a 9th – 12th grade center. 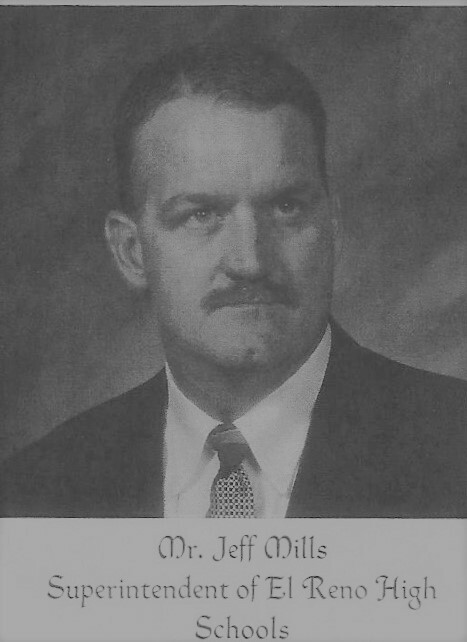 Jeff Mills first came to El Reno in 1992, serving as principal of Hillcrest School until 1998. He was then named superintendent at Leedey, before returning to El Reno, where he served as Superintendent of the El Reno School system from 2001 to 2007. After leaving El Reno, he served as superintendent at Woodward before taking the top job at the statewide association in 2008. Mills was elected by his peers to serve as president of the United Suburban Schools Association and president of the Oklahoma Association of School Administrator. He was named Administrator of the Year by the Oklahoma Association of School Administrators in 2008. He also served in a variety of leadership roles in civic and community organizations. Jeff Mills was only 48 years old, when he died on September 23, 2013 after battling cancer for several years. He is interred in the El Reno Cemetery. A new school building was part of a 2013 bond election. After razing the First Baptist Church, which was on the property across the street east of the high school. The Jeff Mills Stem (Science, Technology, Engineering and Math) Center was completed in 2015. The school opened for high school math and science in August 2015. Paul R. Taylor was born in Texas. 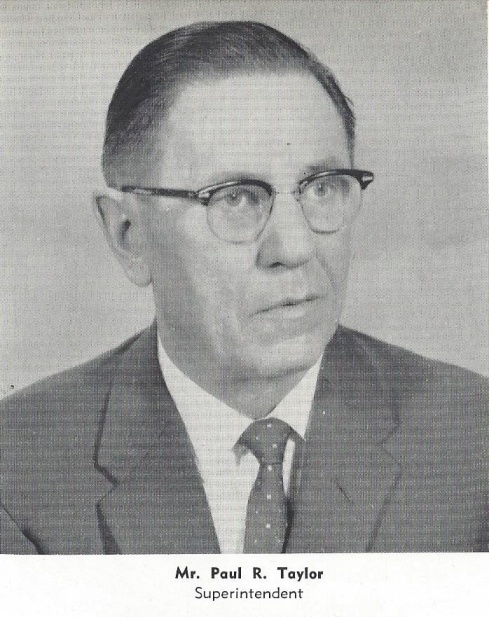 He was El Reno School superintendent from 1935 to 1962. He served in that capacity for 27 years. He was past president of the Oklahoma Education Assn and a life member of the OEA and the National Education Assn. Taylor was past president of the El Reno Lions, past-exalted ruler of the El Reno Elks lodge and member of the El Reno Masonic lodge. A veteran of WWI, he also belonged to the VFW and the American Legion. He was named El Reno’s outstanding citizen in 1957 by the El Reno Chamber and had served three years as a director. He passed away April 5, 1967 and was buried in the El Reno Cemetery. Construction began on the center in summer of 2003. It was expected students would be in by October 2004, but weather and other factors slowed construction. The Media Arts Center had an open house for the public on March 14, 2005. The 16,000-square-foot center is located between the High School and Junior High, making it available to both. The center combines the traditional - an extensive research library with the high tech - the latest in computer labs. Costing about $1.7 million, the building features four computer rooms, two art rooms, a vocal music room, two regular classrooms and a 2,800-square-foot library.